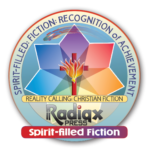 Here we give you Vetted Christian Fantasy books with superior world building, spectacular characters, races, and civilizations. Our imaginations are flooded with Truth from a different direction which often enables us to see it anew. The only other escape from reality which comes close is science fiction. This gives us a potentially great writer and his first books. The links in the headlines go to David’s reviews. 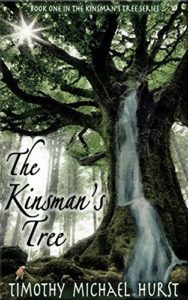 The Kinsman’s Tree builds the world and what a marvelous world it is. It remains a pre-savior vision, though. But it is still free. I have not read a novel that is so infused with the Spirit of God, not only from the Spirit’s inspiration to the author but also in the novel itself, as a character! But not as a physical character but as He is in reality and as we know and experience Him, as a Spirit. He talks to the main characters, with words of instruction, encouragement, guidance and even firmness bordering on discipline, He acts in their lives supernaturally with signs and wonders. In other such novels, the Spirit’s presence may be only a few times, but in this novel, it is very frequent. And it is such a joy to behold and to read. I found this to be very uplifting and satisfying. Is this Urban fantasy, fantasy, romance, or what? Who cares? It’s a wonderful book. 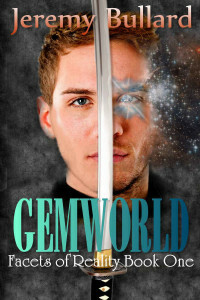 This is the first book of The Facets of Reality series, and I loved it! It is an exceptionally inventive piece of speculative fiction—probably in the fantasy genre. But, it’s so much more. The characters are compelling. The action is exciting. The story is what we all look for in a thriller. 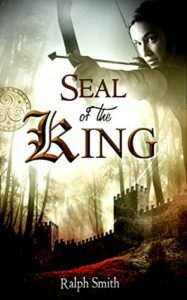 This SEAL transferred to a parallel/mediaeval world is a compelling hero. 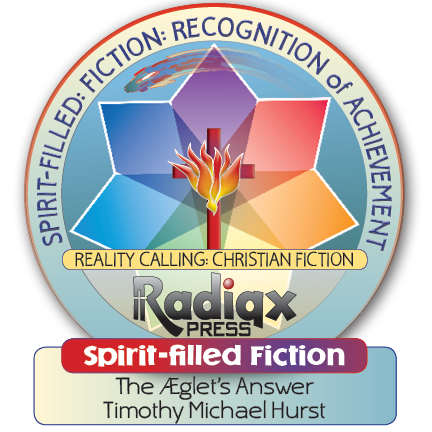 Reality [of God, Jesus, and the Spirit] is largely subliminal, but it’s definitely there. This is not a Full Gospel book and barely Evangelical. However, it is far above the “clean read” non-spiritual books commonly offered as Christian books. If you like speculative fiction, fantasy scifi, you’ll love this book as I did. It’s actually (probably, or at least close to) cutting edge, paradigm-shifting speculative fiction. The environment it lives in is medieval with radical magic abilities woven into it. Jeremy has created a wonderfully compelling world which is different enough to allow him to say things which might not be heard in a more “normal” book. I’m praying he’ll take it to the next level of reality also. But only he knows the vision the Lord has for the book. I’m eagerly awaiting the rest of the series. 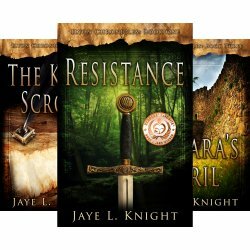 This is an unique apocalyptic tale about a fantasy world with powerful stories to tell. 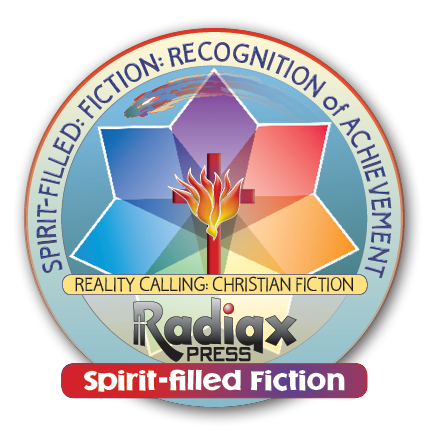 It is epic in scope and a wonderfully entertaining bit of spirit-filled fiction. Here’s a review of it.“The sands blow hollowly across the plains of time. Unseen by man an army was on the move, an army of darkness……. This is an amazing trilogy. David prides himself as a worldbuilder. He is. The complex interactions of the multiple races and the hybrids is wonderful. 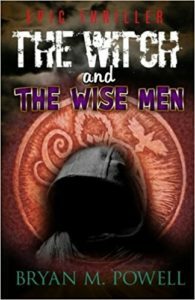 The story itself is classic epic fantasy of a very high order. 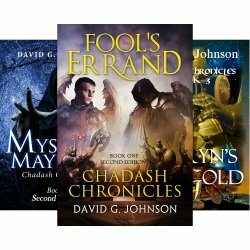 This is one of my favorite Christian fantasy trilogies. It took a while to get into it, but then it is really fun. Here’s the review. “In the far north of Altesse, amid giants’ ruins and simmering volcanos, a shadow lies over the imperiled kingdom of Astarkand. 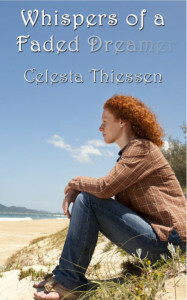 This is the prequel to her Legends of Astarkand trilogy. It is equally good. Here’s the review. “A seeress sends thirteen-year-old Bjorn Horsa across the desert to retrieve a mummy’s bones from the ruined Dracaenan city of Deathwater. This is a new series which is a bit more lyrical, poetic, and maybe more experimental. So far, only book 1 has been released, The Way. Here’s the review of it. 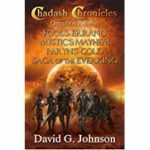 This is an exceptional epic fantasy with unique races, wonderful characters, and a compelling storyline. 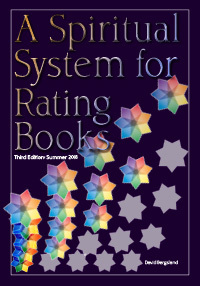 Here’s the review of book 3. Half-Blood is a novella [prequel] about Jayce, the hero. This is not a story about a beautiful, shrieking, young bimbo looking for adventure out of boredom. 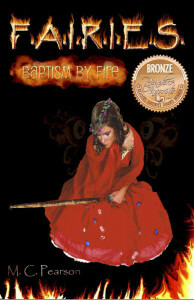 It’s about a young woman oppressed by evil in the beginning and compelled to find the Truth. When she finds it, her life is transformed; and, she does marvelous things as she is thrust into adventure. Here’s the review. Just between you and me, this is not nearly as polished as Ilyon. But, [shhh] I think I may like it better. 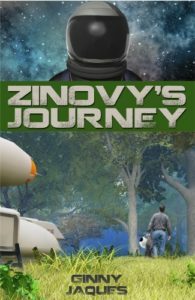 Zinovy’s Journey is a unique and richly woven futuristic action adventure story about a man’s journey through a new earth toward the discovery of a meaningful relationship with God. A cosmonaut on the Global Regime’s International Space Station, he should be at the peak of his career. But Zinovy has enemies whose political power extends into space, and they are determined to kill him. Then the earth is destroyed in a nuclear holocaust and everything changes. In Zinovy’s Journey, suspenseful action and lively dialogue are carefully balanced to keep the reader turning pages, intrigued by the conflicts–both external and internal–and challenged by the underlying philosophical and religious ideas debated by the characters as they walk from Cape Canaveral toward a mythical city located somewhere in the center of the earth. The journey is a long one, and dangerous. 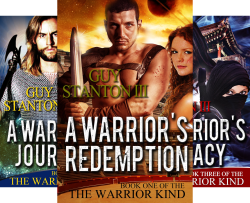 Zinovy has few physical weapons to protect himself and his companions from the threat of evil men in this world where all human technology has been destroyed. And he has no spiritual weapons to protect his fortressed heart from the onslaught of love that he begins to realize has followed him from his orphaned childhood to the present moment. I am stunned at the beauty of this book. It has truth. There is joy to be found in the reading. Zinovy taught me so much. There’s a lot of him in me, and you will find yourself on this book also. Open yourself to it, you will not regret it. Trapped inside a towering fortress, young Julyiah seeks to understand Gwenla’s ancient riddles. As truth is revealed, Julyiah’s heart takes her to both breathtaking and terrifying places. Evil forces try to stop her, for she has discovered how to free the enclosed community from some old and deadly deceptions. What have the leaders been hiding for 400 years? 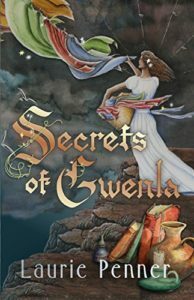 Struggling with her own fears, Julyiah must press forward and make all the connections of truth, or she and those she loves will die, and the Secrets of Gwenla will remain hidden for all time. As many of you know, I strongly dislike lyrical prose, allegory, and poetry. But this one got to me. It may be that it brought me back to a lot of what I have experienced with the church as a religious organization. 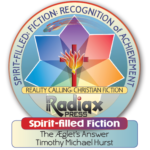 The story is eloquent about how religious rigidity stifles the flow of the Holy Spirit. Rare is the church which does not boot the Holy Spirit out in the name of safety and the maintenance of the illusion of control. As if we could, or would even want to, control God. But that’s the absurdity which has become the norm in the modern, institutional, seeker-sensitive, politically correct church of the 21st century. This is a story of love, faith, and courage in the face of severe trial. It’s the essence of the tribulation the Lord promised us. Laurie tells us in the back matter that this book took a long time to birth. I’m not surprised. It was worth the effort. You should read this one. I have to admit a bit of guilt in enjoying an “angel becomes human” tale. I tend to despise such stories. Yet this one works. In fact, it gets stranger than that. The fantasy has the ring of truth though there is no savior and no Holy Spirit—no Messiah. Here’s the review. This book I’m almost embarrassed to admit I liked it as much as I did. I must admit I had a hard time taking this story seriously. But it held my interest well, and I really enjoyed it. It’s a fantasy fairy tale of the Narnia ilk, but there’s more obvious truth and a fair (though slightly distant) depiction of true Christianity. It’s a 12-year-old girl brought in to save the day with every type of fantastic creature you’ve ever heard of—almost. This one is fairly solidly at the evangelical level. But the Lord is a bit distant from humans. Evil is well rendered. The action is good. The characters are great fun. The dialog works. So, what can I do but recommend it. It’s not a great book. It’s a very good book, quite entertaining. It’s a solid addition to the Christian fantasy world. And yes, it needs a much better cover…. A huge book. It took a while to get into it, but it was worth it. Here’s the review. “Giving up isn’t an option. This is my favorite fantasy series so far.